This is my first time trying to impress the world with a blog. Without the Technology in Education assignment, I think that I would not be able to try something new during this era. I will try my best. Secondly, this is my second semester in the National University of Malaysia even though I am a Third year student. People always asking me about my study details. Here, let me tell you about me and my colleagues. After taking SPM exam, I applied for the Kursus Perguruan Lepasan Sijil Pelajaran Malaysia (KPLSPM) a.k.a. 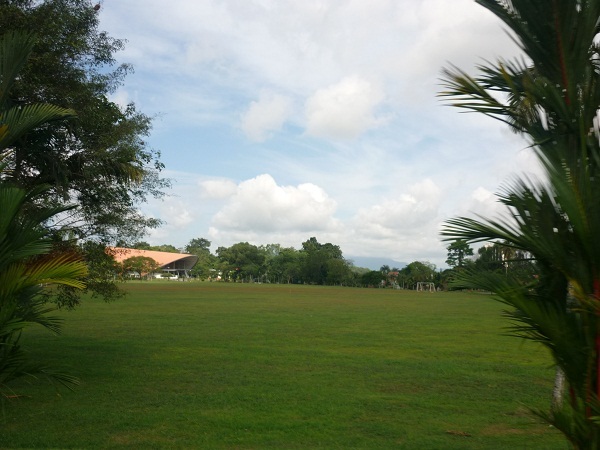 “MAKTAB PERGURUAN”. Luckily, I got a TESL Program which is very different form the other course in Maktab. I got the TESL program which is a twinning program between Institut Perguruan Batu Lintang (IPBL) and UKM, which is now called as Institut Pendidikan Guru Kampus Batu Lintang.We studied in IPBL for about 4 years including the foundation years (2 years). After 4 years in IPBL, then, I entered UKM which is last semester together with my 25 colleagues. In UKM, we will finish another 2 more years which altogether sums up to 6 years of study to take our First Degree in TESL at UKM. The best and special thing about us is that we already have our names in the Bahagian Pendidikan Guru (BPG) because we have contracted to them. That means, we are automatically can be called a teacher-to-be as soon as we finish our Degree. Last but not least, I have a very good theory about sports and friendship. I believe that people may get more chance to get to know each other via sports. In fact, this is what I have done during my old days in IPBL. Via sports, I made lots of friends and even my “loved one”, mind me a second. Haha.. From what I saw, sports can be a very good platform to knot a friendship tie. Okay, back to business, maybe different people have their own ways to get to know each other. So, if you have some ways, show me the way.